I hope you all had an enjoyable weekend. Erik and I sure did! Friday was full of celebrations. It was February 1st which means it's officially my birthday month! We also made it through January. It was national bubblegum day. Needless to say we celebrated. That may not be cause for celebration for some but Erik and I are big fans of Groundhog Day. We read up on the history several years ago and got the biggest kick out of it. Did you know that Punxsutawney Phil has found the elixir of life? That's why he has been around for 133 years! Also, watching grown men wear top hats and get a crowd excited about a groundhog that predicts the weather is quite a sight to be seen. Erik and I usually watch the big reveal together and then watch Bill Murray's Groundhog Day later that evening. 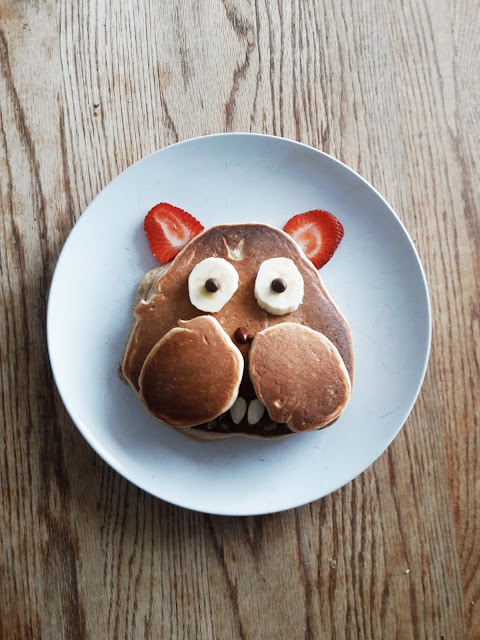 This year Erik asked if he could make me a special breakfast for Groundhog Day and of course I said yes. Here is the masterpiece he presented me with. That man makes my world such a happy place. We ate these while getting the amazing news that spring is on it's way. Needless to say the pancakes will be part of our Groundhog Day traditions from now on. Then Sunday was the Super Bowl. Erik and I are usually with family but, this year we didn't have any plans. 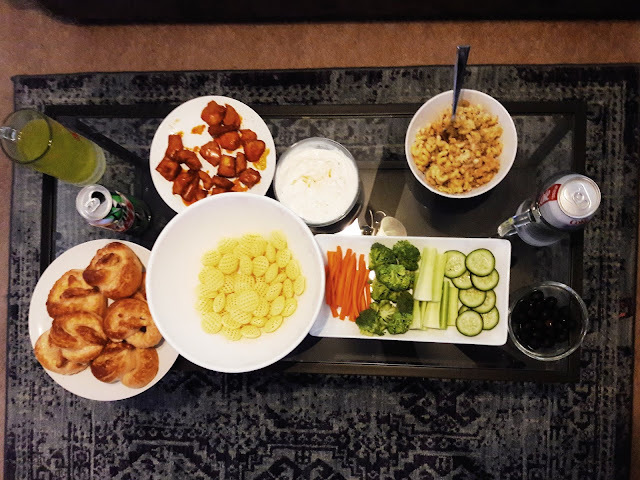 We made soft pretzels, chicken wings, green chili mac and cheese, a veggie plater and chips and dip. We sat down and watched the entire game. It was such a fun weekend. I am grateful for a husband who will celebrate everyday with me.